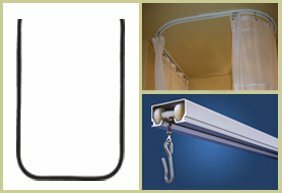 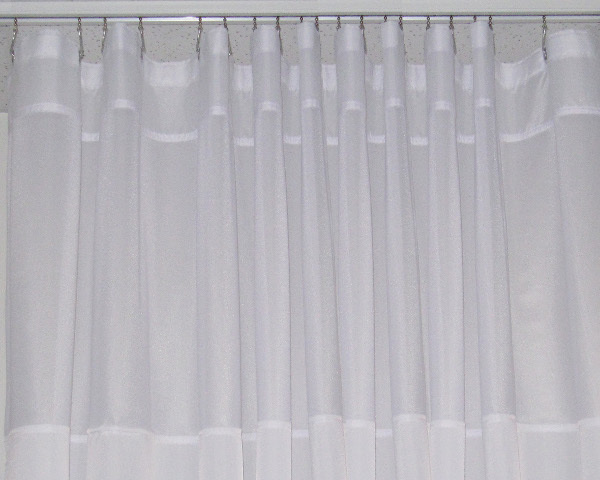 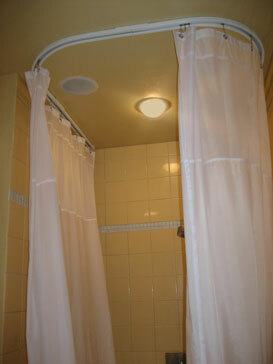 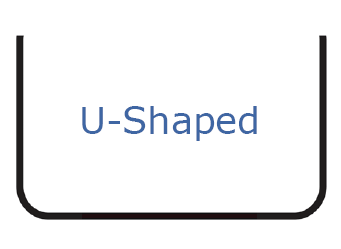 U-shaped shower rod 60" X 36" X 60"
This shower rod solution does not require ceiling supports and lets your curtain glide freely end-to-end and around the two corners. 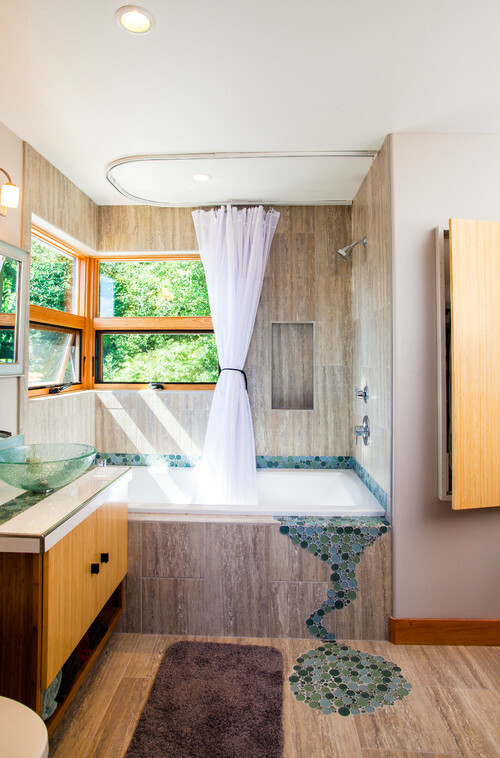 The U-shaped track follows the contour of your tub or shower preventing water leakage to the floor. 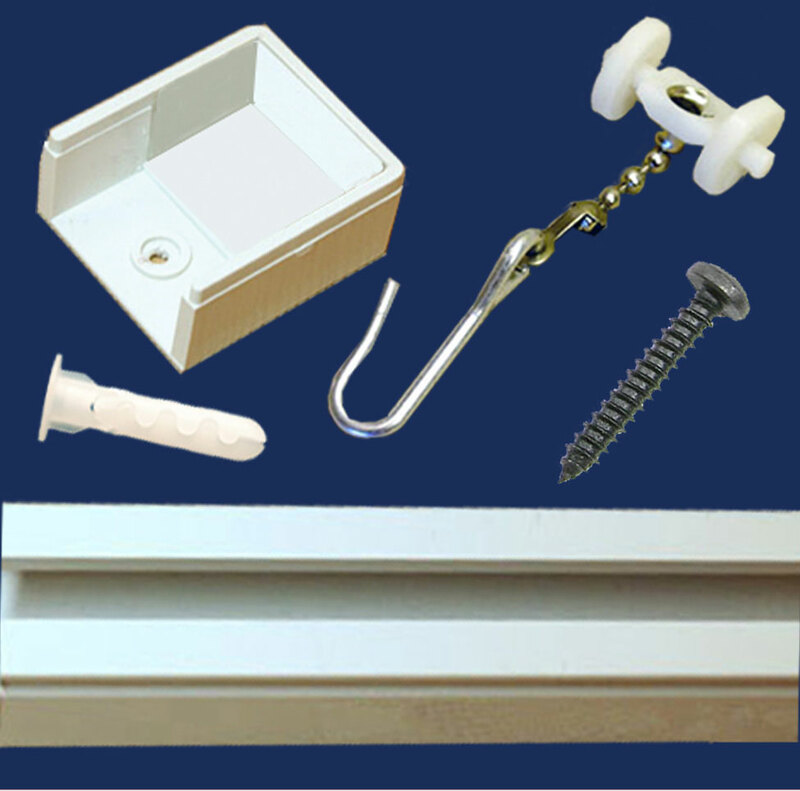 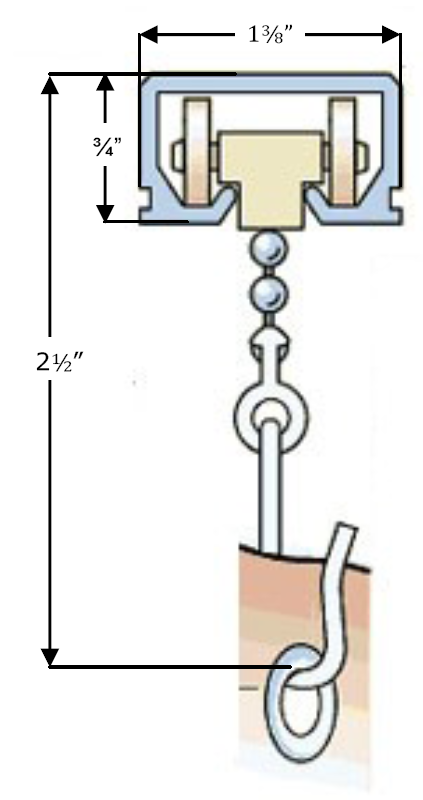 The 60" X 36" x 60" track dimensions fit around the two long sides and one short side of standard bathtubs.